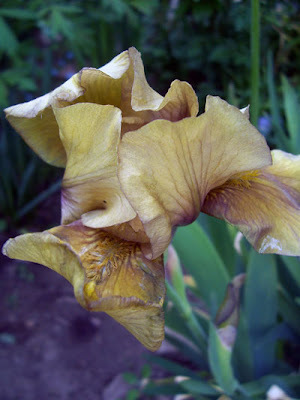 Brown iris with slight green and yellow undertones. Sort of unusual colouring for a flower. 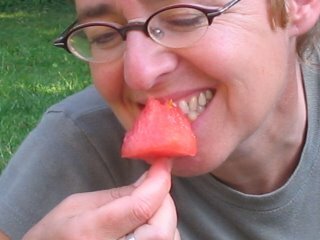 Probably would not want a garden full of these, but is nice to have one or two in bloom. 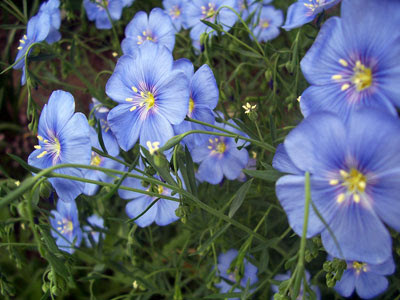 Blue flax. These delicate flowers atop such lacy, delicate foliage and are such an intense blue colour. Very pretty. 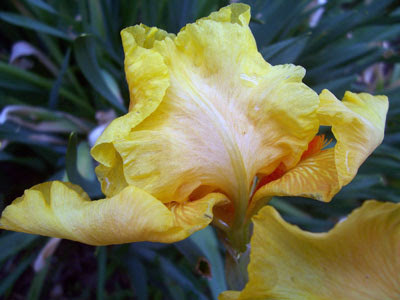 Another yellow iris. I don't even particularly care for yellow, not sure how I ended up with so many yellow iris! This one is very bright and also has an orange beard.